I don't see much Bruneau Jasper any more, and I'm not sure why. So I hate to part with this one, even though it's itty bitty. 30.5mm x 16mm x 5mm. Weight: 16.00 carats. 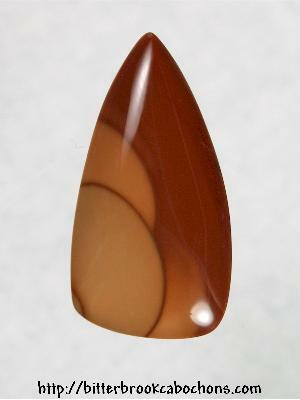 This cabochon is in my personal collection. It is not for sale.